The Niger Delta Indigenous Movement for Radical Change, NDIMRC, has warned against frustrating the Minister of State for Petroleum, Dr. Emmanuel Ibe Kachikwu just as it claimed that the life of the Minister was under threat. The Group alleged it has uncovered plans to allocate 100 % oil blocs to those in the North to the detriment of the people of the Niger Delta Region and claimed that the planned declaration of Crocodile Smile in the Region was to check resistance of the people to the allocation of the oil blocs. It called for the scandal in NNPC to be investigated and it's Group Managing Director, GMD, Dr. Maikanti Baru suspended. The Minister had in a letter to President Muhammadu Buhari, complained about some appointments and reorganizations carried out in Nigerian National Petroleum Corporation, NNPC without his input. According to him, he read about them on social media and mainstream media like every other Nigerian. The Minister had kicked against what he described as insubordination and lack of adherence to due process perpetuated by the Group Managing Director, GMD of the NNPC, Dr. Maikanti Baru. The oil monitoring group, NDIMRC fumed over the way the Minister was being treated and warned that enough was enough. In a press statement signed by its President, Nelly Emma, Secretary, John Sailor and Public Relations Officer, PRO, Stanley Mukoro, the group said that the Minister deserved to be treated fairly and accorded due respect. According to the group, “We have been watching the activities of the GMD of the NNPC, Dr. Baru since he came on Board and we are not impressed with the way he is treating the Minister of State for Petroleum and people from the Niger Delta Region working in the NNPC. We have seen that the GMD of NNPC is bent on destroying the solid foundation laid by the Minister of State for Petroleum and determined to frustrate the Minister, but we are not going to take this likely because the oil Dr. Baru is presiding over belongs to the people of the Niger Delta Region and not the North. The Minister of State for Petroleum, Dr. Emmanuel Ibe Kachikwu must be allowed to take charge of the Board of NNPC which the President inaugurated. Our findings revealed that the recent appointments and postings were done without the knowledge of the Board. Members of the Board learned of these appointments from social media and the press release of NNPC. This is bad enough and must not be encouraged”, the Group said. The Group added, “We are not happy over the way the Minister is being frustrated. He should be allowed to exercise his power as the Chairman of the NNPC Board. They should let the whole world know why he is not being allowed to function effectively as the Chairman of the Board. The Minister was transparent when he was the GMD of NNPC, he carried out ethnic balancing, but the reverse is now the case since Dr. Baru was appointed. The current Board of the NNPC must be empowered and given free hand to operate. The office of the Minister of State for Petroleum must be saved from further humiliation and disrespect. The Minister is not anti-North as all appointments made by him in the past were balanced and based strictly on skills, experience, drive and ethnic balancing for senior management positions, but this is not the case with the current GMD of the NNPC”, the group stated. 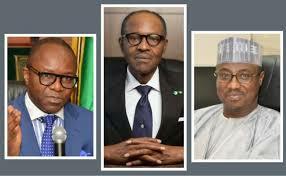 The oil monitoring group urged President Buhari to treat the letter written to him by the Minister with all seriousness, adding that the President must call the GMD of NNPC to order now. The group also said, “the only offence of Niger Delta ex-militant Leader, Chief Government Ekpemupolo ( aka Tompolo) was that he sold his property to the previous administration for N11Billion and at the end of the day he was declared wanted by the Government of the day. Even the Vice President, Prof. Yemi Osinbajo during a visit, was impressed with the Nigerian Maritime University, Okerenkoko that Tompolo attracted to the Region. But his name entered the bad book of the Federal Government. What about the GMD of NNPC that awarded 25 Billion Dollars Contracts without following due process? Has anyone accused him of wrong doing? Even Nnamdi Kanu that has been labeled as a Terrorist by the Federal Government has not committed the magnitude of the offence the GMD of NNPC has committed against the Nigerian State. “Our investigation revealed that oil blocs in the Niger Delta Region would soon be allocated in the ratio of 100 % to the North, hence the planned declaration of Crocodile Smile in the Region so that the owners of the oil will be wiped out if they resist the allocation of their God given resources. Let it be made clear that this injustice that is about to be carried out against the peace loving people of the oil rich Niger Delta Region will not stand and no amount of Crocodile Smile can stop the people whose time has come”, the oil monitoring group stated. Adding that, “Oil companies are on longer interested in investing in Nigeria because of the massive corruption in NNPC under the watch of the current GMD. We implore the Federal Government to send EFCC, SSS, DSS, Crocodile Smile and Python Dance to the NNPC. The scandal in NNPC must be investigated and the Corporation cleaned of corruption. We are also calling for the immediate suspension of the GMD of NNPC for the probe of the Corporation to be meaningful. Oil production has gone up because of the prevailing peace in the Niger Delta Region. Militants in the Region have stopped the bombing of oil facilities and so the Federal Government has no reason to declare Crocodile Smile in the Region. We are insisting that the planned declaration of Crocodile Smile is because the Government is about allocating 100% of the oil blocs to the North. Our checks have shown that the Cabal in the North are planning to use the Military, EFCC, SSS and DSS against the Minister of State for Petroleum, Dr. Emmanuel Ibe Kachikwu because they are not happy with the letter he wrote to the President. The life of the Minister is under threat, his life is no longer safe and the Cabal should be held responsible should any unpleasant thing happen to the Minister”, the group alleged.